● Bowyer started eighth and finished first to earn 10 bonus points. ● Pitted under green on lap 9 for tires and fuel. ● Stayed on the track during the lap 10 competition caution and moved to second. ● Remained in second throughout the stage until he passed teammate Kurt Busch at lap 45. ● Bowyer won his first stage of the year and second of career. ● Bowyer’s last stage victory came at Pocono (Pa.) Raceway in July, 2017. ● Bowyer started 14th and finished 15th. ● Moved to eighth by lap 58. ● Moved from seventh to third on lap 69 when he stayed on the track while others pitted. ● Took over the lead when Kevin Harvick pitted with 11 laps remaining in the stage. ● Gave up the lead with two laps left in the stage to pit for fuel and tires. ● Bowyer started second and finished fifth. ● Led the first laps of the final stage before Denny Hamlin regained the lead with 17 laps remaining. ● Bowyer closed in on Hamlin in the closing laps but could not make the pass. ● The race restarted with three laps remaining and Bowyer could not hold off the cars with newer tires. ● This was Bowyer’s seventh top-five and 12th top-10 finish of 2018. 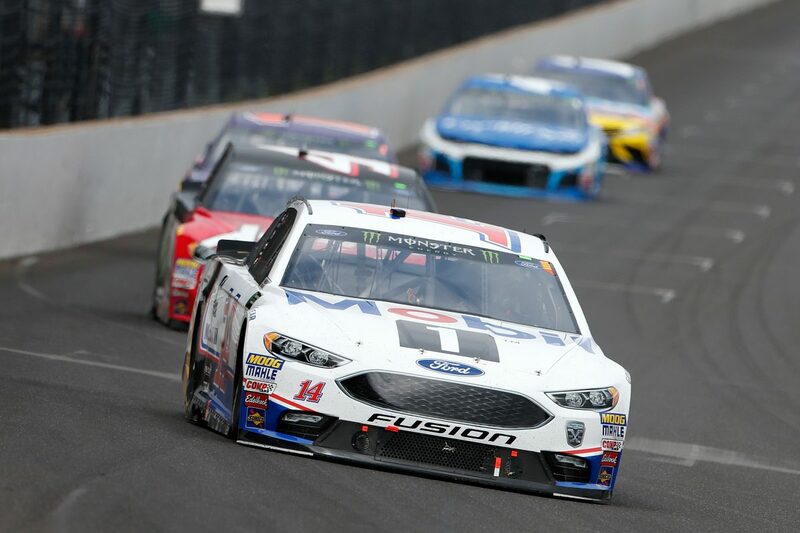 ● Bowyer earned his third top-five and fourth top-10 in 13 career Monster Energy NASCAR Cup Series starts at Indianapolis. ● Bowyer finished first in Stage 1 to earn 10 bonus points and one playoff point. ● Bowyer led three times for 37 laps to increase his laps-led total at Indianapolis to 43. ● Bowyer qualified for the playoffs by earning two victories in 2018, two stage wins, and finishing seventh in the points giving him 15 bonus points for the playoffs. ● This is Bowyer’s seventh playoff appearance and first since 2015. ● Brad Keselowski won the Brickyard 400 to score his 26th career Cup Series victory, his second of the season and his first at Indianapolis. His margin of victory over second-place Erik Jones was .908 of a second. Do you take any solace from running so well today?